Andries Hartsinck, a former VOC high-ranking officer at Surakarta Palace has a vacation home (landhuis) in Palmerah. The building designed by W.J. van de Velde and has five large rooms. Palmerah inhabitants at that time called this building as the Gedong Tinggi (High Building) because it was the tallest building in the region. 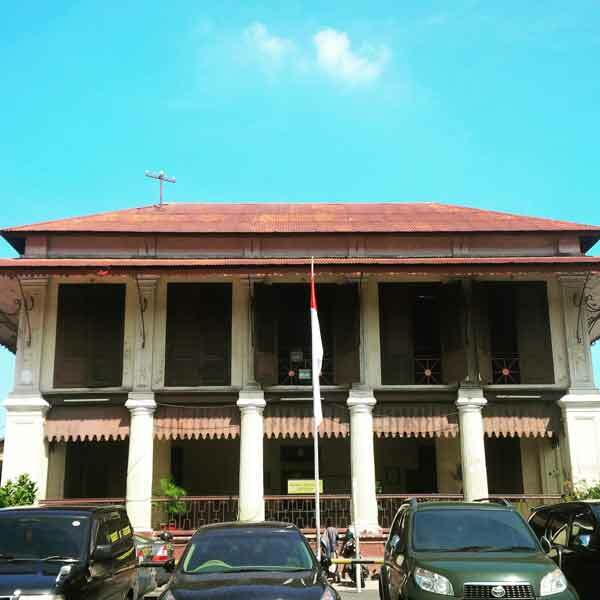 While residents of Rawa Belong mention this building as Gedong Cubuh.